On this day in 1860, Abraham Lincoln secured the nomination for president at the Republican National Convention in Chicago. Only the second person to be nominated for president by the Republican Party, Lincoln would go on to become our first Republican President. These photos tell the story of how Lincoln defied the odds to rise to the top of the Republican ticket. 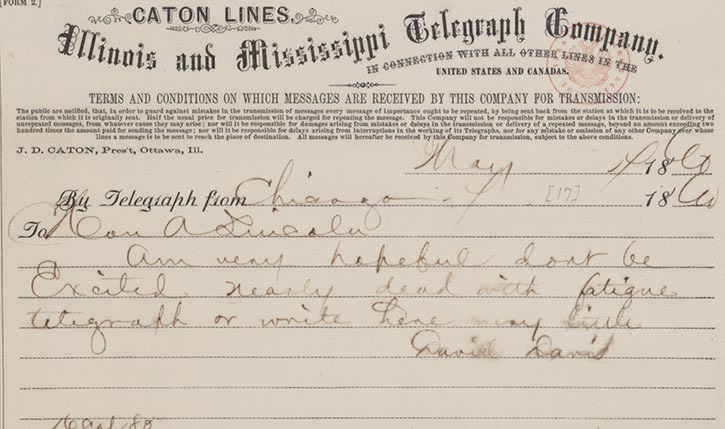 Lincoln was relatively unknown among the Republican candidates for president. He had a modest national profile from his unsucessful Senate campaign in 1858, where he gained attention for his forceful arguments during a series of debates with his Democrat rival Stephen Douglas. 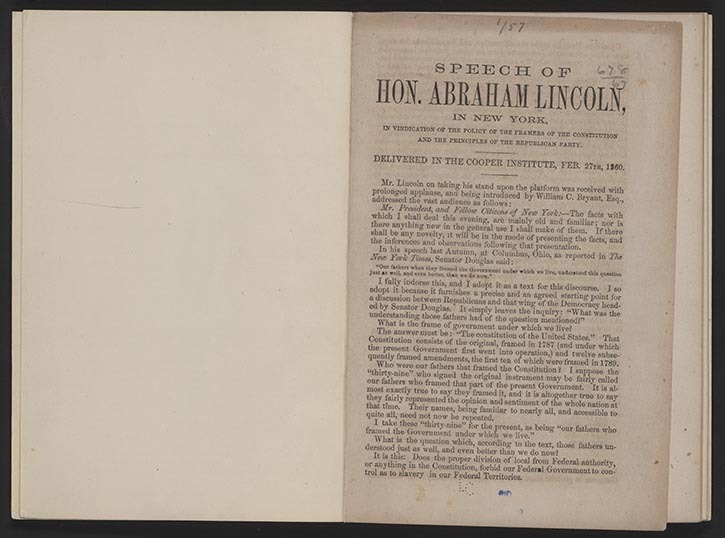 Dubbed the “Speech that Made Lincoln President”, Lincoln’s Cooper Union address convinced many Republican leaders to support him. This photo was taken on the same day that Lincoln gave his Cooper Union speech, and it was used in many of Lincoln’s campaign materials afterwards. Lincoln was a pioneer in the use of photography (new technology at the time) in politics. 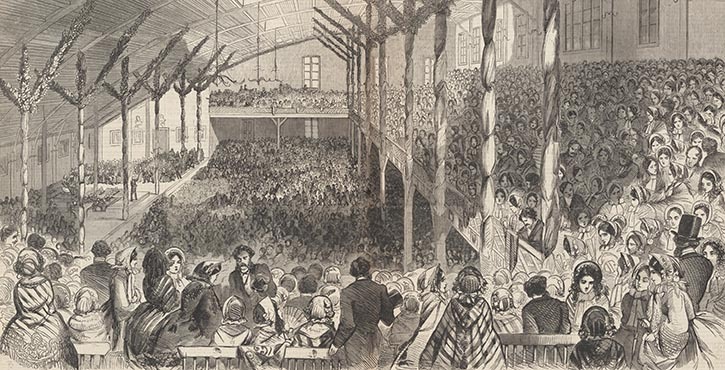 Entering the 1860 Republican National Convention in Chicago, Senator William Seward was generally favored to get the nomination. While the convention was held in Lincoln’s home state of Illinois, Lincoln would not attend, choosing instead to remain in Springfield. His tireless campaigning and savvy political strategy helped Lincoln secure the majority of delegates – and the nomination – on the third ballot. 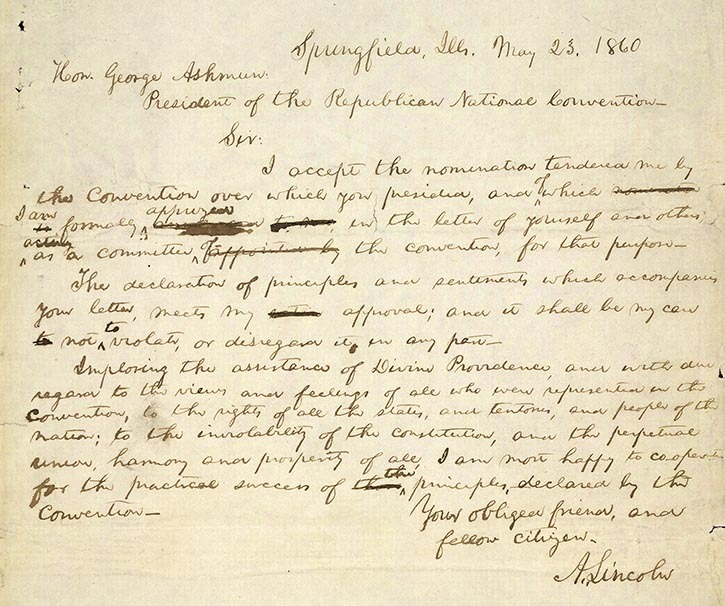 On May 23, 1860, Lincoln formally accepted the Republican nomination to the presidency in a letter to the President of the Republican National Convention, George Ashmun. Sir: I accept the nomination tendered me by the Convention over which you presided, and of which I am formally apprised in the letter of yourself and others, acting as a Committee of the Convention, for that purpose. The declaration of principles and sentiments, which accompanies your letter, meets my approval; and it shall be my care not to violate, or disregard it, in any part. Imploring the assistance of Divine Providence; and with due regard to the views and feelings of all who were represented in the convention; to the rights of all the States, and Territories, and people of the nation; to the inviolability of the Constitution, and the perpetual union, harmony and prosperity of all, I am most happy to co-operate for the practical success of the principles declared by the Convention.